BicycleCulture.org – is the nonprofit that runs LA Bike Trains. Our Story: We started in 2012 inspired by earlier Bike Train efforts in NYC and Canada. By the end of 2013 we had 10 routes covering 100’s of miles in LA County run entirely by volunteers. In 2014 cities across America and abroad were talking about the car centric LA becoming bike friendly via a program called bike trains (thanks to articles in NPR, The Guardian, The LA Times, Bicycling Magazine and many more. We’ve taught other cities how to replicate the program and benefited from major support from the Roth Foundation, the Clif Bar Family Foundation and the David Bohnett Foundation. 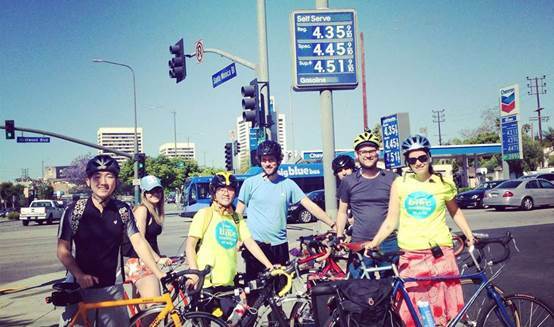 LA Bike Trains has taught hundreds of people how to ride to work and school and encouraged people to bike a cumulative total of almost 100,000 miles between 2013-2017. To make the most of lean budgets, we’ve put together private corporate bike trains programs for UCLA and for METRO during ‘bike week’ in May. Staying focused on positive community impact has led us to producing the ‘Los Angeles Bicycle Festival’ (2014, 2016) and numerous cultural and educational events. And sadly, without major financial support an effective Bike Trains program isn’t possible. But the need for individuals to learn, connect and enjoy getting around by bike continues. So we’ve launched the Bike Tutor program, where you can still get all the knowledge, encouragement and joy of learning to commute by bicycle in Los Angeles. So – sign up for Bike Tutor, or help a friend by buying them a lesson! Keep up with other Bicycle Culture Institute events. Donate, volunteer and help friends, neighbors and colleagues to live their best (bike) life! 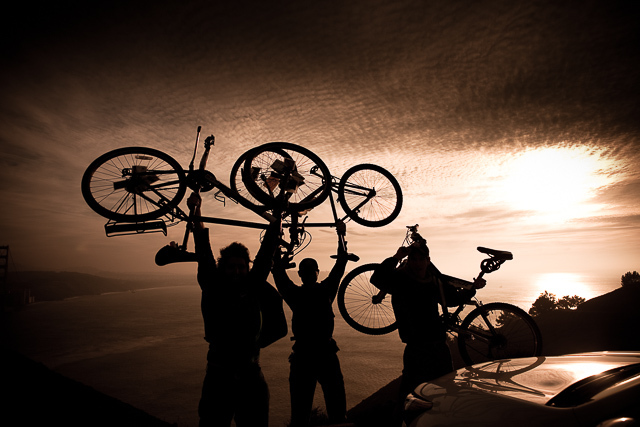 Bike-lifting is when a [Critical Mass] participant raises his or her bicycle in the air. This occurs when an intersection is corked, when a cyclone is occurring, or at any point a participant desires to hold a bicycle in the air.